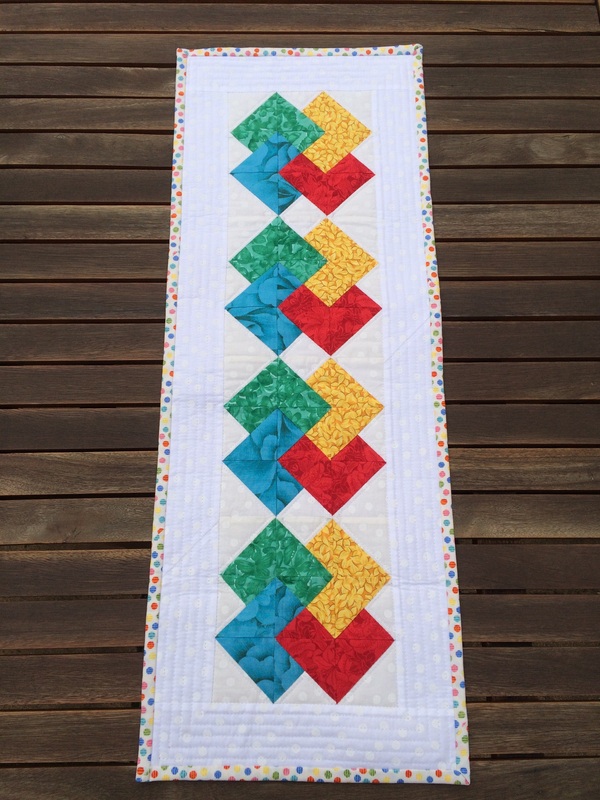 This weekend I made a some card trick blocks in bright colours on a white background that I made into a table runner. I think it turned out pretty good. The block is made of a 3 x 3 square grid. 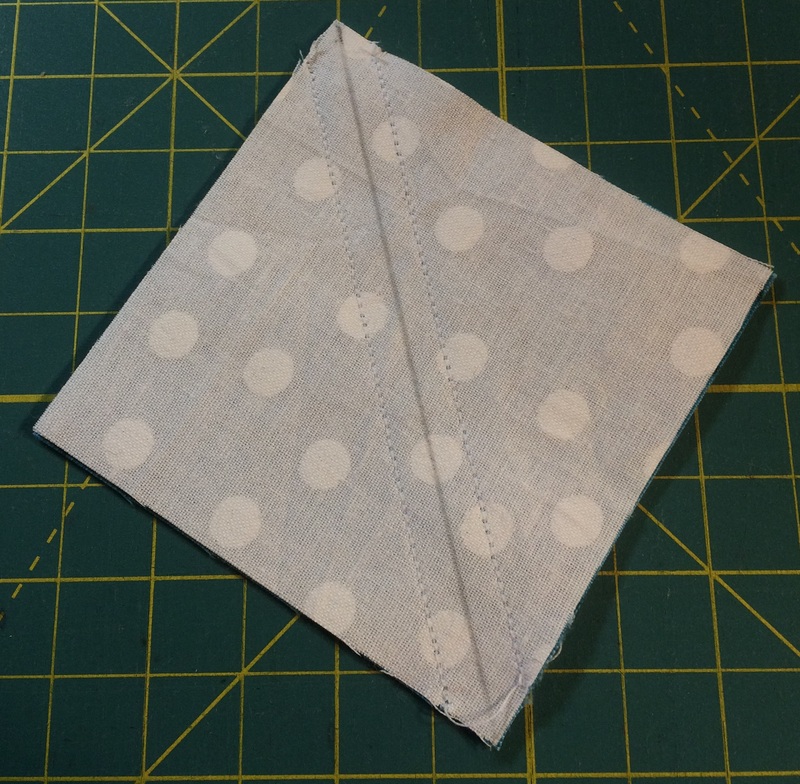 Sew each square together first and trim them to 2 1/2″squares. Sew the squares in to rows and then sew he rows together. Since you are sewing on the bias edges, make sure not to stretch the fabric. 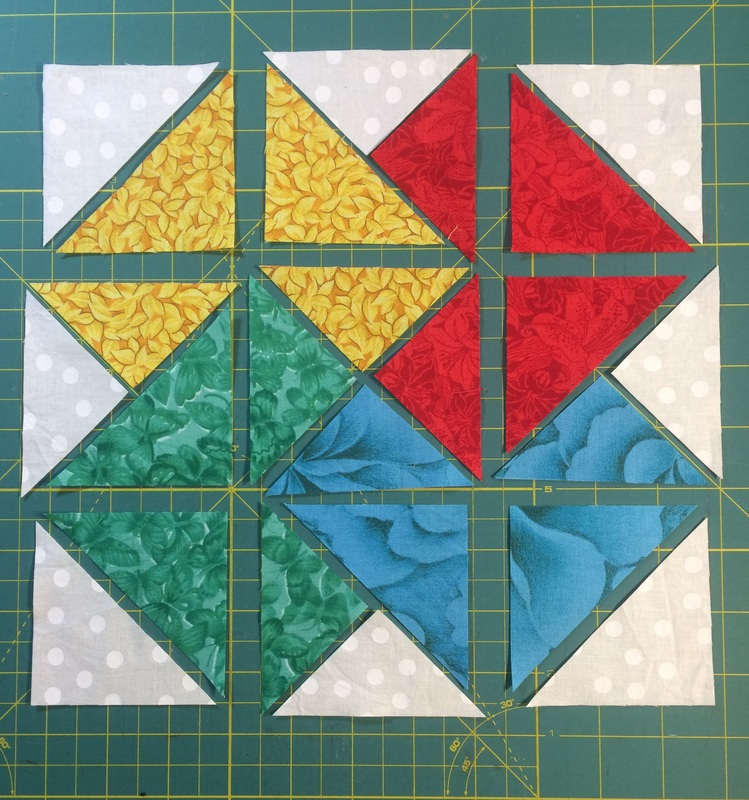 If you are making more than one block you can put one background 3″square and one colour 3″square right sides together and draw a diagonal line on one side and sew on each side of the line with a 1/4″ seam allowance. Cut on the drawn line, press each piece open and trim to a 2 1/2″square. 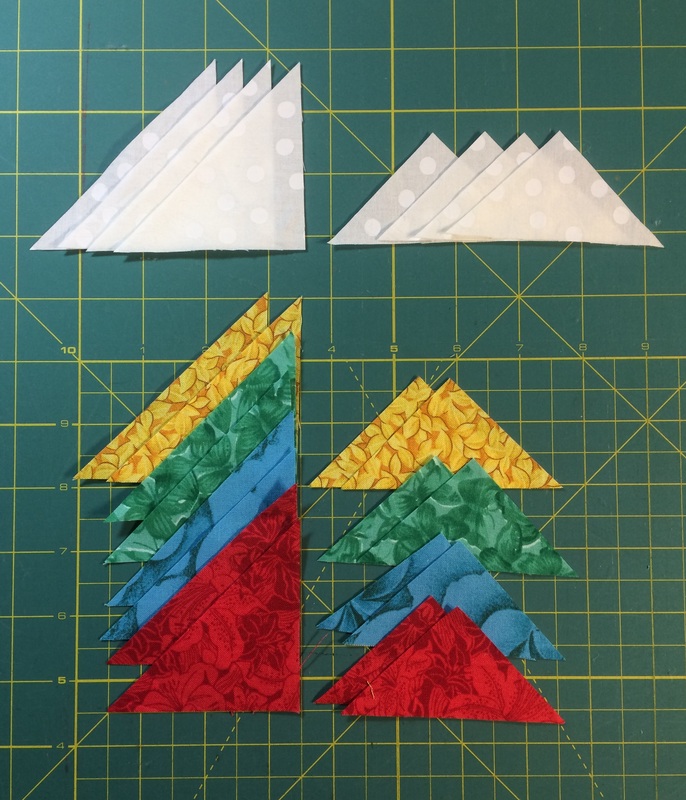 If you want to make a different size block, cut the squares for half squares triangles 1″ bigger than the finished square and 1 1/2″ bigger for quarter square triangles. This is a little bit bigger than you need but it looks neater when trimmed to the right size. 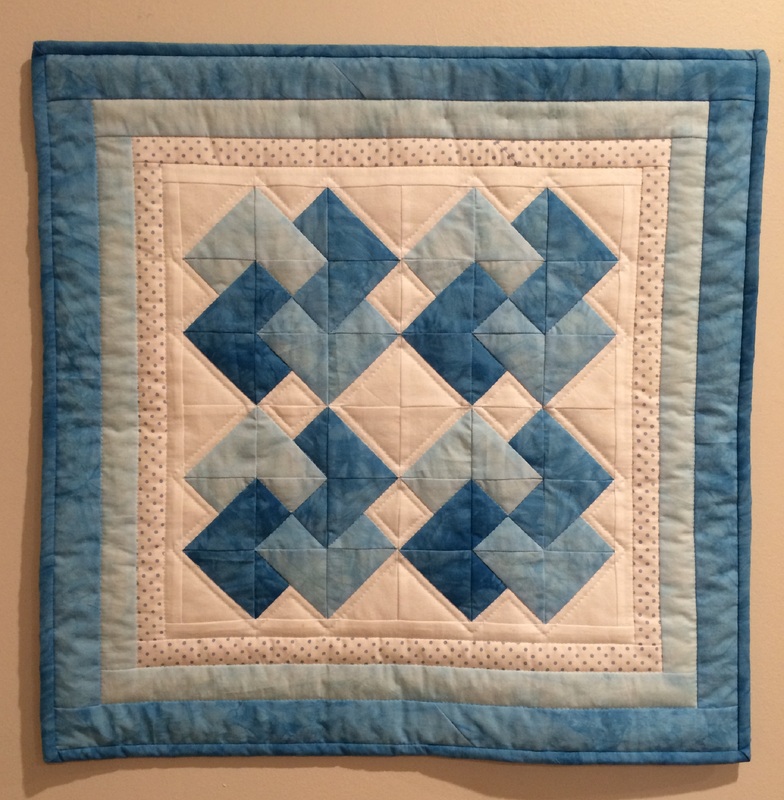 For example, if you want to make a 9″ block each of the 9 squares will be 3″ x 3″. 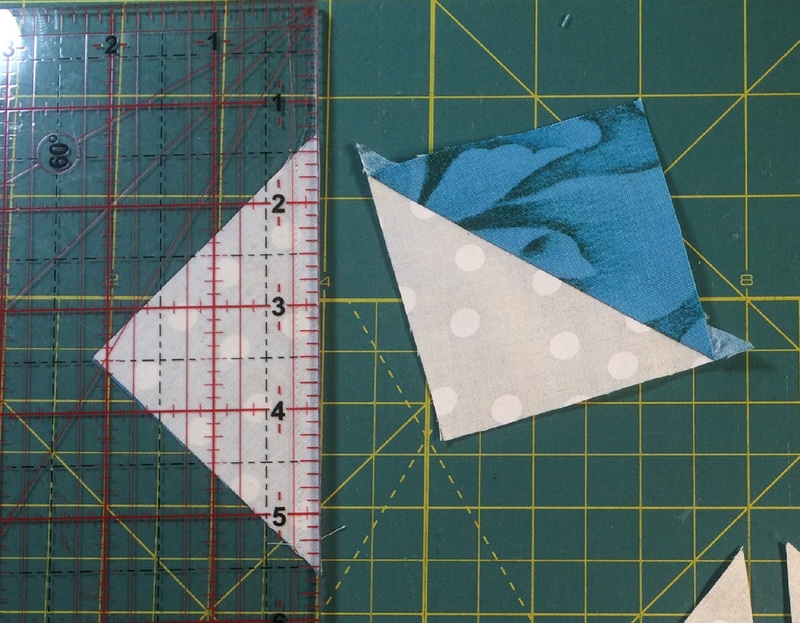 Cut 4″ squares for half square triangles and 4 1/2″ squares for quarter square triangle. 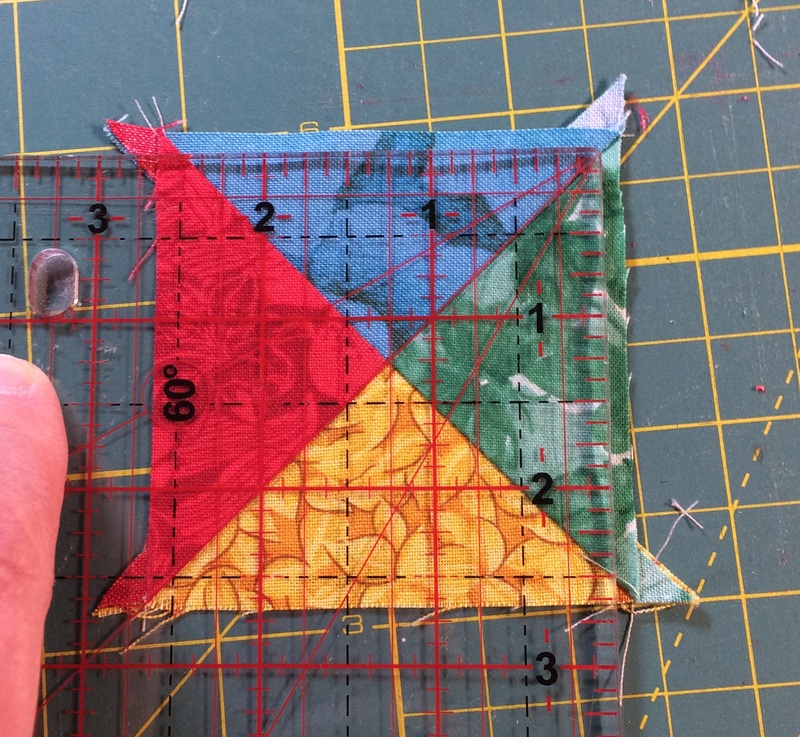 Sew the 9 squares and each square will then be trimmed to 3 1/2″ to include the seam allowance.